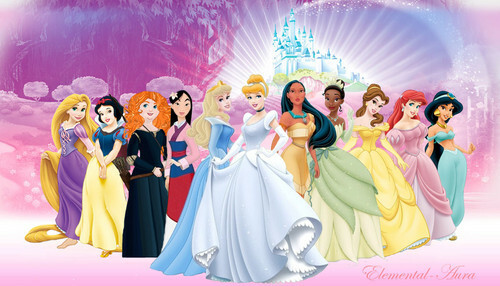 New Merida with the Disney Princesses. The Disney PRincess shading of Merida I've been working on with the Official Disney Princesses. HD Wallpaper and background images in the Merida club tagged: merida brave disney pixar disney princess. Why does Merida's face look fat and chubby?